Consistent with FCC regulations, Nuvera and its affiliates, referred to as “Nuvera,” provides this information about our broadband Internet access service. We welcome questions or comments about this information, including any questions about any portions that you do not understand. You may contact us at (507) 354-4111 or send us an email through our website at www.nuvera.net. General description. We provide a variety of Internet offerings to our residential and business customers over our broadband network and through other communications facilities connecting to the Internet, including but not limited to High Speed Internet Access, Dedicated Internet access, Managed Services, web hosting, data center hosting, Enterprise hosting, or Unified Messaging (“Nuvera Broadband Service”). Through our central Network Operations Center, we monitor our network and traffic patterns and make changes we deem necessary to manage and improve overall network performance. We use reasonable, nondiscriminatory, network management practices to improve overall network performance to ensure a high-quality online experience for all users. We use various tools and techniques to manage our network, deliver our service, and ensure compliance with our Acceptable Use Policy and our Terms and Conditions of Service. We also contract with one or more third-party companies for certain network monitoring and management services. Our network management activities may include identifying spam and preventing its delivery to customer email accounts, detecting malicious traffic and preventing the distribution of viruses or other harmful code or content and using other tools and techniques in order to meet our goal of delivering the best possible Internet experience to our customers. Our network management practices do not target any specific content, application, service or device. As network management issues arise and as technology develops, we may employ additional or new network management practices. • Nuvera Acceptable Use Policy, available at https://nuvera.net/services/internet/acceptable-use-policy/. • Nuvera Privacy Notice, available at https://nuvera.net/privacy-policy/. These documents contain important information regarding Nuvera Broadband Service and its use and may be subject to updates and revisions. Subscribers are encouraged to review them on a regular basis. Blocking. Nuvera does not engage in any practice, other than reasonable network management disclosed herein, that blocks or otherwise prevents end user access to lawful content, applications, service, or non-harmful devices. Throttling. Nuvera does not engage in any practice, other than reasonable network management disclosed herein, that degrades or impairs access to lawful Internet traffic on the basis of content, application, service, user, or use of a non-harmful device. Affiliated or Paid Prioritization. Nuvera does not engage in any practice that directly or indirectly favors some Internet traffic over other traffic to benefit an affiliate or in exchange for consideration, monetary or otherwise. Potential heavy bandwidth users. Through our third party provider, we receive reports showing end user usage for identification and management of potential heavy bandwidth users. If a reasonable solution is not found and usage remains excessive, Nuvera reserves the right to limit, suspend, or terminate the high volume user’s Internet service. • Help us adapt and upgrade our network to maintain or improve network performance as demand for our broadband Internet network increases. • Help us adapt and upgrade our network to maintain or improve network performance as demand for higher bandwidth applications increases. Some examples of higher bandwidth applications are gaming, streaming movies, and streaming high definition video. • Help us identify potential heavy bandwidth users. Potential heavy bandwidth users. We, in our sole reasonable discretion, determine the criteria for data consumption that is not characteristic of a typical residential user of Nuvera Broadband Service. Effects on end user experience. Because our broadband Internet network is a shared network, periods of high network demand may result in Internet traffic congestion. End users may experience reduced bandwidth or speed during these times. Although we work to engineer and implement solutions to eliminate congestion that affects the end user experience, new technologies or unforeseen developments may require implementation of an active congestion management program. Should it become necessary in the future to implement such programs, Nuvera will notify its customers of the program and the criteria under which this congestion management will be implemented. General restrictions on types of devices to connect to network. We place no general restrictions on lawful devices that a customer may connect to our network, so long as the device is: (i) compatible with our network; and (ii) does not harm our network or other users. Our broadband Internet service works with most PCs and laptops including Macs, and other Internet compatible devices like game systems and Internet-enabled TVs. If a password-protected wireless router is connected to our broadband Internet service, wireless Internet compatible devices properly connected to the router including computers, tablets, smartphones, and other devices can connect to our network. If a customer or potential customer believes they have an unusual configuration, our customer service department will help determine if there is a compatibility problem. Cable Modems. Our Nuvera Cable Modem broadband Internet service requires connection of a cable modem to our network. You can obtain a cable modem from us. DSL Modems. Our Nuvera DSL Modem Internet service requires connection of a DSL modem to our network. You can obtain a DSL modem from us. FTTH Modems. Our Nuvera Fiber to the Home (FTTH) Modem broadband Internet service requires connection of a FTTH modem to our network. You can obtain a FTTH modem from us. Fixed Wireless. Our Nuvera Fixed Wireless broadband Internet service requires an antenna, radio and power over ethernet device to connect to our network. You can obtain fixed wireless equipment from us. Network and End User Security. This section provides a general description of the practices we use to maintain security of our network. It is the responsibility of the Customer to ensure the security of their network and the equipment that connects to the Nuvera Broadband Service. Customers are required to take all necessary steps to secure and manage the use of the Services received from Nuvera in such a way to assure that network abuse and/or fraudulent activity is prevented. In addition, we use a number of tools and techniques to protect our network and end users from malicious and unwanted Internet traffic such as preventing the distribution of viruses or other harmful code and preventing the delivery of spam to customer email accounts. Web Hosting and Data Center Hosting Surveillance: We perform routine surveillance of our networks in connection with our web hosting, data center hosting, and related services. Although Nuvera will not, as an ordinary practice, proactively monitor individual Customers’ activities for violations of its Acceptable Use Policy (available at https://nuvera.net/services/internet/acceptable-use-policy/), there may be instances in which Nuvera, through its routine surveillance, finds violations and responds with appropriate action to immediately stop further violations at its sole discretion. Virus and Spam filtering: Our email and website traffic is filtered for virus activity and Spam using industry standard virus scanning and prevention techniques. Should an email message be found to contain a virus, the message will be deleted without notification given to either the sender or the intended recipient(s). All spam is quarantined, however the email customer has the option to delete. General Service Description. 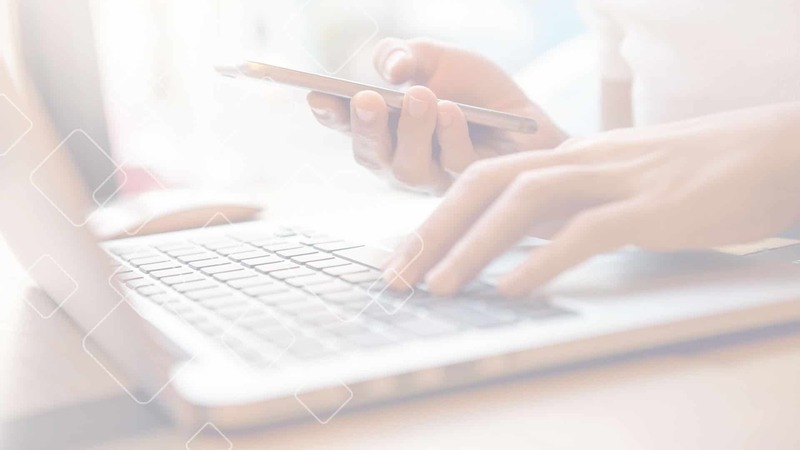 Our Nuvera broadband Internet service enables a customer to connect an Internet-enabled device through either a wired or wireless connection. Our broadband Internet access service includes wiring and a modem or radio and power over ethernet device. Our broadband Internet access service enables residential and commercial subscribers to access all lawful content, applications, and services of their choice available on the Internet. Service technology. We deliver our Nuvera Cable Modem broadband Internet service over our coaxial / hybrid fiber-coaxial network using the Data Over Cable Service Interface Specification (DOCSIS). Customers subscribing to our cable service access our network using cable modems. To connect from our network to the Internet, we use equipment called a Cable Modem Termination System (CMTS) that acts as a gateway to the Internet for our customers’ cable modems. This is a shared network, which means that our customers share upstream and downstream bandwidth. We deliver our Nuvera Digital Subscriber Line broadband Internet service over our copper network. Customers subscribing to our DSL service access our network using DSL modems. To connect from our network to the Internet, we use equipment called a Digital Subscriber Line Access Multiplexer (DSLAM) that acts as a gateway to the Internet for our customers’ DSL modems. This is a shared network, which means that our customers share upstream and downstream bandwidth. We deliver our Nuvera Fiber to the Home broadband Internet service over our fiber optic network Gigabit Passive Optical Network (GPON). Customers subscribing to our fiber internet service access our network using fiber optical network terminals. To connect from our network to the Internet, we use equipment called a Optical Line Terminator (OLT) that acts as a gateway to the Internet for our customers’ optical network terminals. This is a shared network, which means that our customers share upstream and downstream bandwidth. We deliver our Nuvera Fixed Wireless broadband Internet service over our wireless network. Customers subscribing to our Fixed Wireless access our network using an antenna and radio outside the customer premise and power over ethernet device and surge suppressor inside the premise. To connect from our network to the Internet, we use equipment such as wireless radios and switches that act as gateways to the internet for our customers equipment. This is a shared network, which means that our customers share upstream and downstream bandwidth. Speed. The speeds we identify for each broadband Internet service level are the maximum upload and download speeds that customers are likely to experience. We provision our customers’ modems and engineer our network to deliver the speeds to which our customers subscribe. However, we do not guarantee that a customer will actually achieve those speeds at all times. A variety of factors can affect upload and download speeds, including customer equipment, network equipment, congestion in our network, congestion beyond our network, performance issues with an Internet application, content, or service, and more. Latency. Latency is another measurement of Internet performance. Latency is a term that refers to the time it takes for information to travel between your computer and your Internet destination. High latency occurs when the time it should normally take for the information to make the trip becomes abnormally long. Latency is typically measured in milliseconds, and generally has no significant impact on typical everyday Internet usage. Most applications, such as email and websites, work well despite average latency. Highly interactive applications, such as multi-player games, do not work well with higher latency. As latency varies based on any number of factors, most importantly the distance between a customer’s computer and the ultimate Internet destination (as well as the number and variety of networks your packets cross), it is not possible to provide customers with a single figure that will define latency as part of a user experience. Actual speed and latency performance. The actual speed and latency experienced by individual users may vary depending upon network conditions and other factors. We strive to maintain 99.95% availability, also known as “up time”, and less than or equal to 80 milliseconds latency for our Nuvera Broadband Service. Actual performance of our Cable Modem service in most cases will conform to national wireline broadband Internet speed and latency levels reported by the FCC. The FCC has reported cable ISP subscribers receive mean download speeds that are 109.33% of advertised speeds, and mean upload speeds that are 115.30% of advertised speeds. The FCC has reported DSL subscribers receive mean download speeds that are 99.64% of advertised speeds, and mean upload speeds that are 97.59% of advertised speeds. The FCC has reported fiber subscribers receive mean download speeds that are 107.73% of advertised speeds, and mean upload speeds that are 149.53% of advertised speeds. In addition, the FCC has reported mean latency delays for cable ISPs at about 22.24 milliseconds and 11.07 milliseconds for DSL ISPs. Suitability of the Service for Real-time Applications. Our broadband Internet access service is suitable for typical real-time applications, including messaging, voice applications, video chat applications, gaming, and Internet video. If users or developers have questions about particular real-time applications, please contact us at (507) 354-4111. Non-Broadband Internet Access (BIAS) Data Services. Non-BIAS Data services offered to end users. We offer several managed or “non-BIAS data” services over our network, sharing network capacity with other high speed Internet services. Managed non-BIAS data services include Voice over Internet Protocol (VoIP), Internet Protocol video, web hosting, data center hosting, Enterprise hosting, Unified Messaging and dedicated bandwidth to high volume business users. Effects of non-BIAS data services on availability and performance of broadband Internet access service. Our provision of non-BIAS data services has no effect on the availability and performance of our broadband Internet access service. Prices. Monthly prices for our residential broadband Internet access services are available on our website at https://nuvera.net/services/internet/. For business broadband Internet access service pricing, please contact us at (507) 354-4111. Fees for early termination. An early termination fee may be charged if a customer disconnects while under a contracted agreement with Nuvera. Privacy Policies. We collect and store information from many sources as it relates to providing and maintaining service to our customers. Individually identifiable customer information, including usage data obtained in our role as your broadband Internet access service provider is only used to provide the service, improve your use of the service, manage our network, or as otherwise required or authorized by law. For more information on our additional broadband Internet access subscriber privacy policies, please visit our Nuvera Privacy Notice, available at https://nuvera.net/privacy-policy/. Storage of network traffic information. Dynamic Host Configuration Protocol (DHCP) information is a code included in all network traffic that associates that traffic with a particular device sending or receiving the traffic. We store DHCP information for a minimum of three years. The data generated on each customer’s usage is divided into broad categories for analysis to help us monitor and predict trends in usage for our customers as a whole. Use of network traffic information for non-network management purposes. We do not use network traffic information for non-network management purposes. However, data regarding a customer’s excessive data usage may be utilized for discussions to move that customer to a higher broadband plan. End user and edge provider complaints and questions. End users and edge providers with complaints or questions relating to the Nuvera Broadband Service or these disclosures should contact (507) 354-4111 or email us through our website at www.nuvera.net.